The photo shows a boy who was murdered a year ago. The caption says, ‘I KNOW WHO KILLED HIM’. Detective Stephen Moran hasn’t seen Holly Mackey since she was a nine-year-old witness to the events of Faithful Place. Now she’s sixteen and she’s shown up outside his squad room, with a photograph and a story. Even in her exclusive boarding school, in the graceful golden world that Stephen has always longed for, bad things happen and people have secrets. The previous year, Christopher Harper, from the neighbouring boys' school, was found murdered on the grounds. And today, in the Secret Place - the school noticeboard where girls can pin up their secrets anonymously - Holly found the card. Solving this case could take Stephen onto the Murder squad. But to get it solved, he will have to work with Detective Antoinette Conway - tough, prickly, an outsider, everything Stephen doesn’t want in a partner. And he will have to find a way into the strange, charged, mysterious world that Holly and her three closest friends inhabit and disentangle the truth from their knot of secrets, even as he starts to suspect that the truth might be something he doesn’t want to hear. 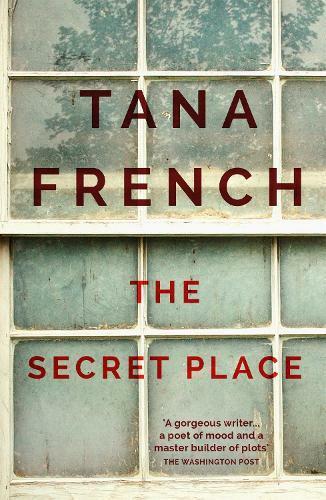 From the multi-award-winning author of Sunday Times and New York Times bestseller In the Woods, The Secret Place is a searing novel of psychological suspense.